It is possible to get your daily vitamin requirements from the food you eat. Here are the nutrients you need every day and how to get them from your diet. The B complex of vitamins keep blood, nerves, and the immune system functioning properly. A deficiency may be a risk factor for heart disease and stroke. 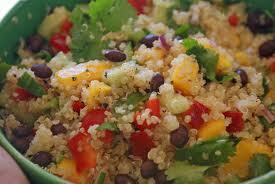 B6 is plentiful in whole grains, bananas, beans, nuts, wheat germ, chicken, and fish. B12 is found in beef, pork, poultry, eggs, fish, and dairy. The only reliable vegan sources of B12 are foods fortified with B12 (including some plant milks, some soy products and some breakfast cereals) and B12 supplements. Vitamin B12, whether in supplements, fortified foods, or animal products. B12 comes from micro-organisms. Vitamin C is an antioxidant that has been shown to fight DNA-damaging free radicals. 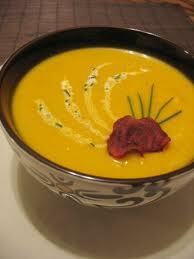 It may help to maintain a healthy immune system and boost HDL, the so-called "good" cholesterol. Best food sources: Citrus fruits and juices, strawberries, red and green peppers, Brussels sprouts, broccoli, spinach, kale, and collard greens. Just one orange almost gets you to the RDA. Eat your recommended five servings a day of fruits and vegetables and you shouldn't be lacking in C.
Calcium is essential for bone health and plays an important role in preventing osteoporosis. Best food sources: Dairy products are the most calcium-dense foods, but smaller amounts can be found in legumes and dark green, leafy vegetables. An eight-ounce glass of skim milk, one cup of yogurt, one cup of cooked spinach/greens, and one fig will get you to your calcium goal. If you don't eat dairy, look for calcium-fortified soy milk or orange juice. Vitamin D promotes calcium absorption. A vitamin D deficiency can lead to osteoporosis and has been linked to certain cancers, as well as to multiple sclerosis, type 1 diabetes, and other chronic illnesses. Best food sources: Although some is found in fatty fishes, like tuna, salmon and mackerel, most of our vitamin D comes from fortified foods, like milk and cereal. The body also produces its own vitamin D when exposed to sunlight. 4 ounce serving of salmon or two cups of fortified milk will give you the RDA. 10 to 15 minutes of sunlight two to three times a week is usually sufficient, too. Vitamin E major function is as an antioxidant. Recent studies point to positive effects on eye health and the prevention of Alzheimer's disease. 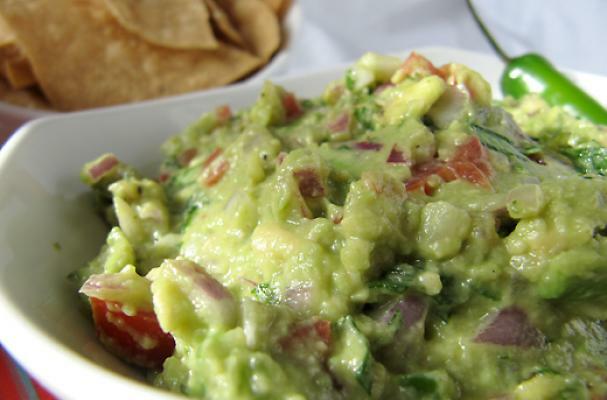 Best food sources: Avocados, vegetable oil (such as safflower, sunflower, cottonseed, canola, and olive), wheat germ, sunflower seeds, almonds, and most other nuts. 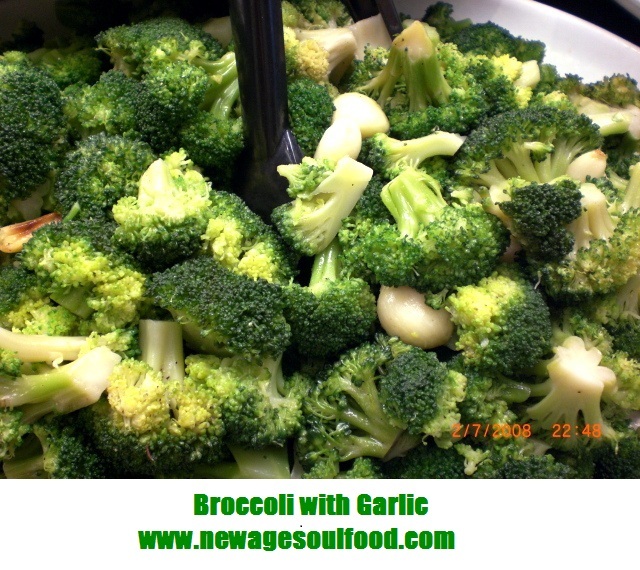 It's easy to meet the RDA with food―one cup of raw broccoli plus two ounces of either almonds or sunflower seeds will do it. Folic Acid (Folate) deficiencies may be a risk factor for some cancers, heart disease, and stroke. Best food sources: Leafy vegetables, strawberries, wheat germ, broccoli, asparagus, whole grains, beans, and foods that have been fortified with folic acid, such as cereals and breads. 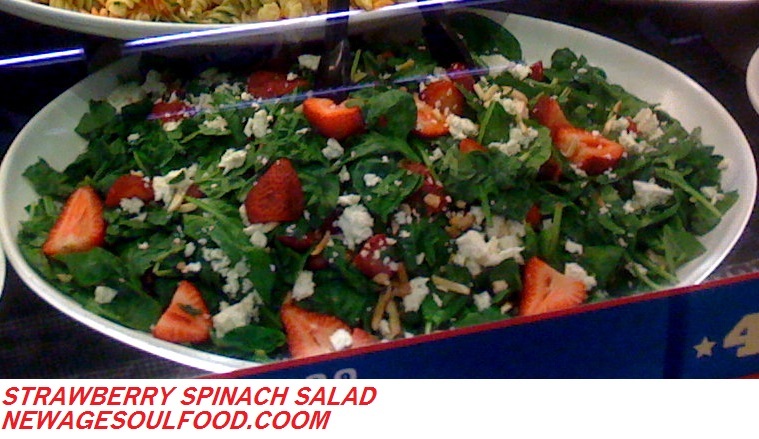 3/4-cup serving of fortified breakfast cereal 1 cup of peas, 1cup of cooked spinach. Iron prevents iron-deficiency anemia. There's also evidence that it helps support a healthy immune system. A deficiency may be linked to impaired memory and an inability to focus. Best food sources: Iron is most plentiful in and best absorbed from red meat, clams, and, in lesser amounts, egg yolks, chicken, and fish. 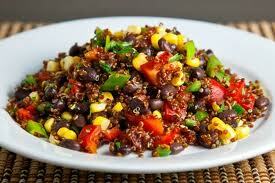 It’s also found in legumes, fortified grains, cereals and cast iron cookware. How much is enough: A large spinach salad, a cup of lentil soup, and a small (three-ounce) serving of red meat will give you adequate iron. Vitamin K helps maintain healthy blood clotting and promotes bone density and strength. 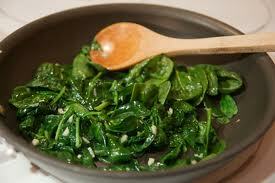 Best food sources: Dark green, leafy vegetables and vegetable oils, such as olive, canola, and soybean. 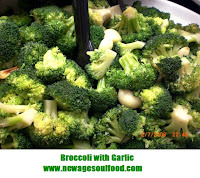 One cup of raw broccoli or a spinach salad will provide about all you need. Magnesium helps maintain normal muscle and nerve function, regulate blood sugar levels, and keep bones strong. A lack of it in your diet may contribute to heart disease or high blood pressure. Best food sources: Whole-grain breads and cereals, legumes, spinach, broccoli, dates, raisins, bananas, almonds, cashews, peanuts, walnuts, and pecans. 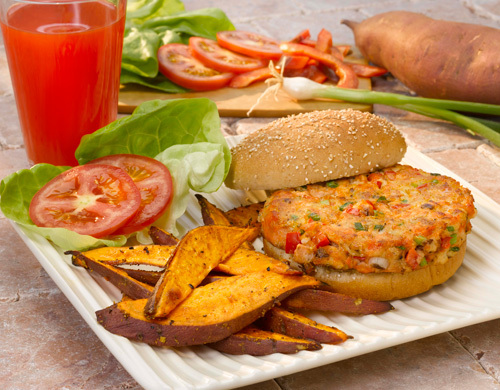 How much is enough: Have two slices of whole-wheat toast for breakfast, snack on three ounces of almonds and raisins in the afternoon, and for dinner try three ounces of grilled halibut with a baked potato. Zinc plays an important role in supporting a healthy immune system. Sucking on zinc lozenges several times a day during the first few days of a cold may shorten its duration and lessen the severity of symptoms. 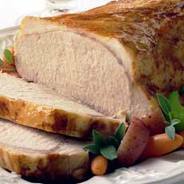 Best food sources: Animal products, like beef shank and pork tenderloin, as well as oysters and nuts. Angelique: Every year we host an international Easter/Passover dinner with friends of all religions, nationalities and backgrounds. Joyce: Not this year. I'm playing it low key. My sister, mom and niece just left after a 6 week visit. Fortunately, we all made it through without killing each other. But 5 women trapped in a house together for 6 weeks? Angelique: I should have planted some video cameras cause that's a reality show. Oh, and guess who did ALL of the cooking during Real Sistas of Hollywood? Joyce: Me! My mom can't cook. My sister won't cook and my niece only recently learned to use a microwave. Angelique: What about me mom? I helped. Joyce: Yes, pumpkin. I appreciate you putting the tea water on for me every morning before I made the family breakfast. Angelique: I don't get credit for the Groupon dinners?. . .The theatre tickets?. . .Pressing start on the blender to make the smoothies?. . . I guess I'm cooking Easter dinner alone, huh? 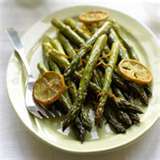 Place asparagus on sheet pan, top with orange or lemon slices and roast in oven 9 – 10 minutes or until asparagus is slightly brown. Garnish with fresh parsley and serve hot. Heat olive oil in large sauce pan, add the onions, garlic, and jalapeno and saute until onions are translucent. 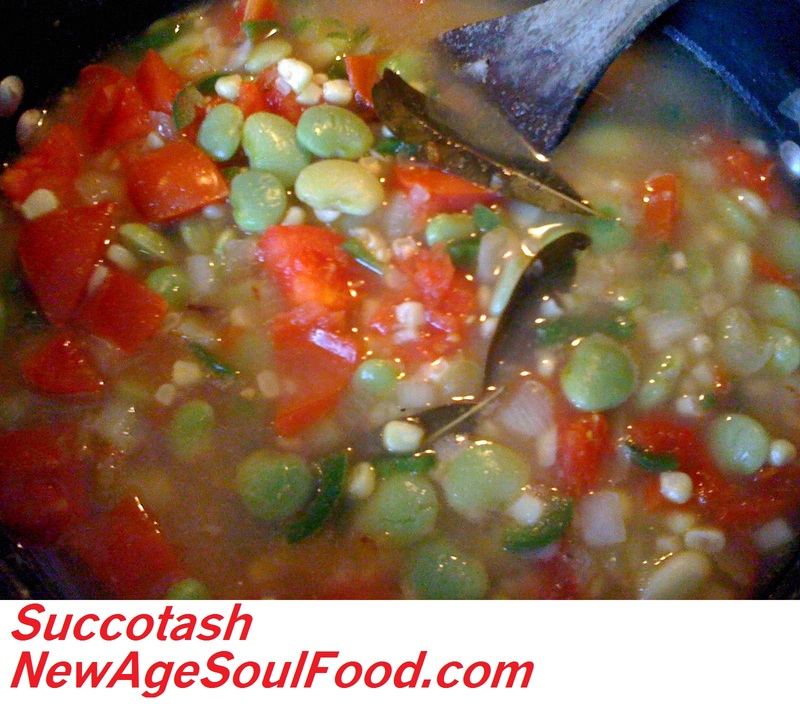 Add the lima beans, corn, dried seasonings, tomatoes, water and bay leaves. Bring to a boil and reduce heat to medium. Cook uncovered 30 minutes or until beans are tender. 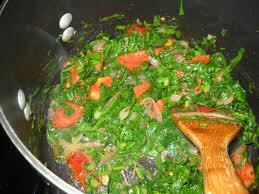 Remove bay leaves and mix in parsley. Rinse salmon and pat dry with a paper towel. Mix together the granulated garlic, onion, ginger and cayenne pepper and sprinkle the seasoning blend on both sides of the fillet. Make glaze by cooking maple syrup, mustard, vinegar and thyme, salt and pepper until it thickens, remove from heat. 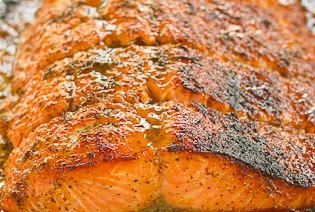 Place salmon, on oiled grill pan, brush with glaze. 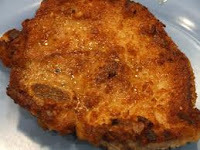 Cook for about 10 minutes, brush with remaining glaze and cook for another 5 minutes. Sort beans by removing any broken or disfigured beans, rocks, dirt and any other debris. Rinse thoroughly and drain. Put beans in a large saucepan, cover with water and soak overnight. To quick soak the beans, bring pot to a boil, turn off the heat, cover and soak for 1 hour before cooking. While beans are soaking, heat the oil in a medium saute pan add the onions, peppers, celery and garlic cloves saute until onions are translucent. After the soaking period is over, add the sautéed vegetables, dried seasonings, bay leaves, Tabasco and Worcestershire sauce mix thoroughly, cover and cook over low heat 2 – 2 ½ hours, stirring occasionally. 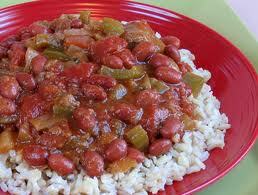 Serve beans over steamed brown rice and garnish with scallions or parsley. Note: This is a well seasoned dish so careful with the Cajun seasoning and Tabasco sauce. In a wok or large sauce pan, heat oil, add onions and ¼ teaspoon salt. Saute onions on medium high heat until onions are caramel in color, approximately 8 minutes. Reduce heat to medium, add tomatoes and garlic and continue sautéing until all liquid from tomatoes is absorbed. Add collards and remaining ingredients mix thoroughly then bring pan up to a boil. 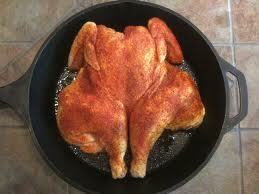 Reduce heat to low, cover and cook 20 minutes on low heat. Long Live Caesar! Salad that it. 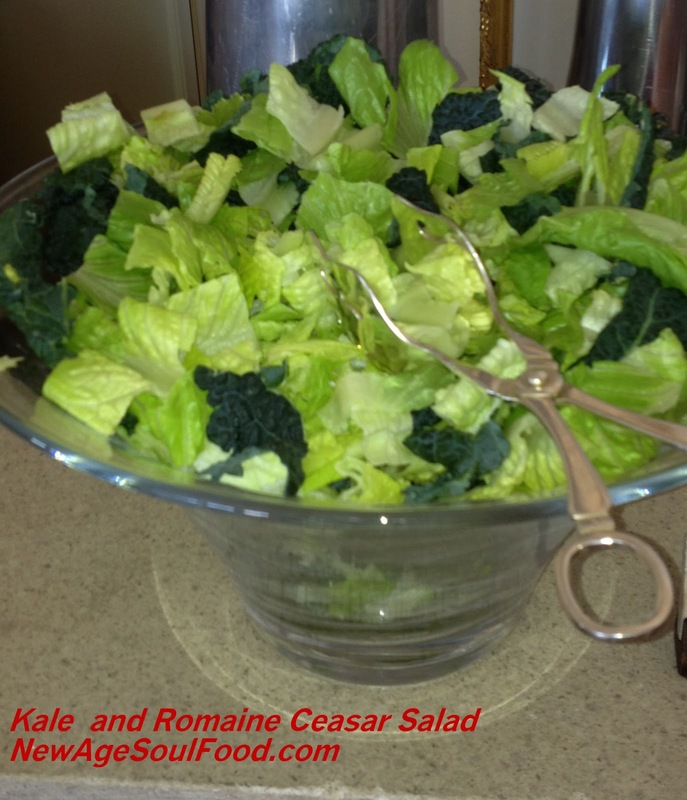 I love a crisp, fresh, Caesar salad, but what I do not love is all the calories that comes with the dressing. Let's talk about it. With the raw egg mayo that it's made from, all the cheese and croutons, you suddenly took something healthy and turned it into junk food. Add chicken and you might as well have ordered a pizza. We always talk about the dangers of our favorite comfort foods. But even the so called "healthy" dishes can ruin your weight loss plans. But as always, I've got a fix for that. 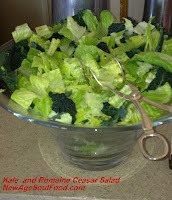 A few tweaks here and there and I've come up with a much healthier alternative to the traditional Caesar salad. She even has a vegan version. BTW, the anchovy is optional. I know it's ugly to look at, but it's yummy. I promise. Grind all ingredients in coffee grinder or food processor until they resemble fine crumbs.